Has the City Plowed Yet? It snowed last night. I just shovelled my first snow of the season. Are you wondering when the City of Toronto is going to plow your street? Follow @TO_WinterOps for real-time updates. 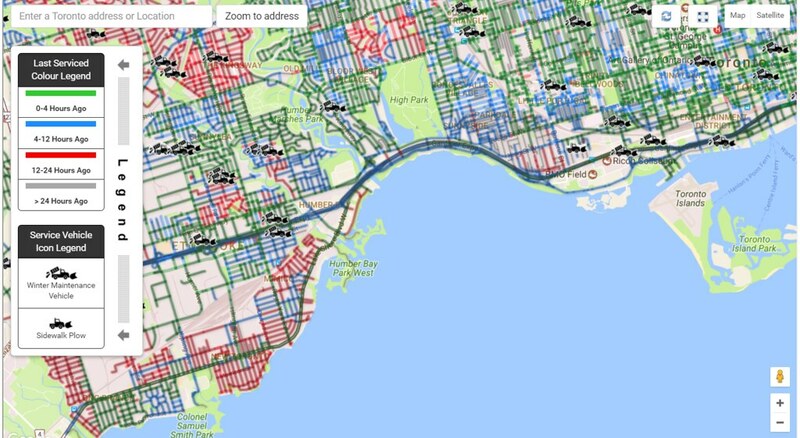 I'm a fan of this new map that lets you know when roads have been salted and plowed in the City of Toronto. It's particularly convenient if you're planning a bike ride and wish to stick with streets and trails that have just been plowed. Thanks, Mike. And what's the twitter handle to follow to indicate when the army is coming to shovel your sidewalks? Thanks Mike, That's a pretty useful map. Interesting to see how accurate it is over the winter.